We are highly motivated,highly competive group and family oriented. We have our own FB group page where we share tips and strategy. We also have a optional Slack app For more fun. We promote from within the guilds. So come join us and rise up thru the ranks together. > We are TOP 25 global. We are highly motivated highly competitive group. Spot will fill fast, join us today. Best guild, no question. Plenty of room to learn and grow as a player. Very active and always competitive. Guild leader is one of the nicest people you'll meet and players are full of tips and advice! 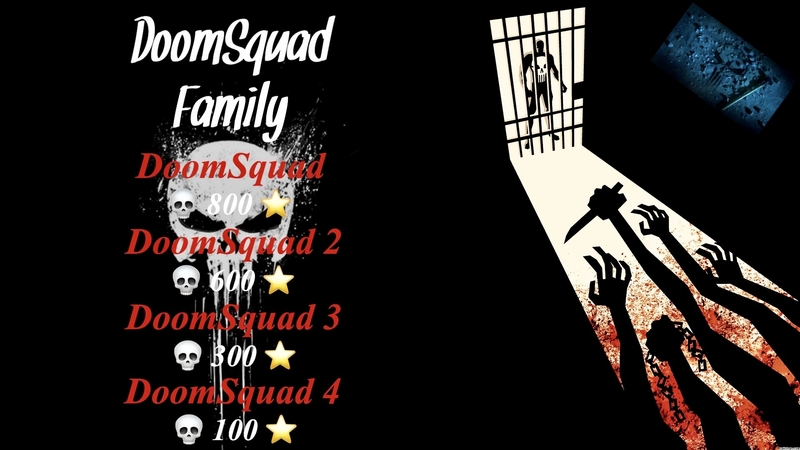 If you're looking for a home, look no further than DoomSquad! We have Spots open in DoomSquad 2. 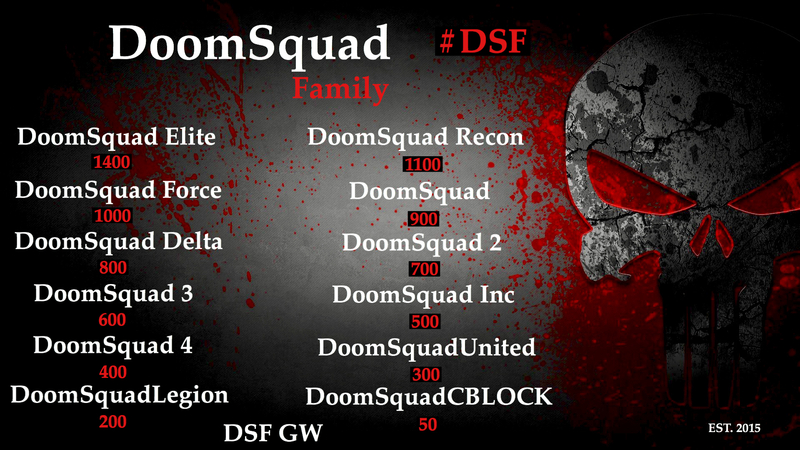 DoomSquad 3 has one spot open. Hi Shannon how are u ?